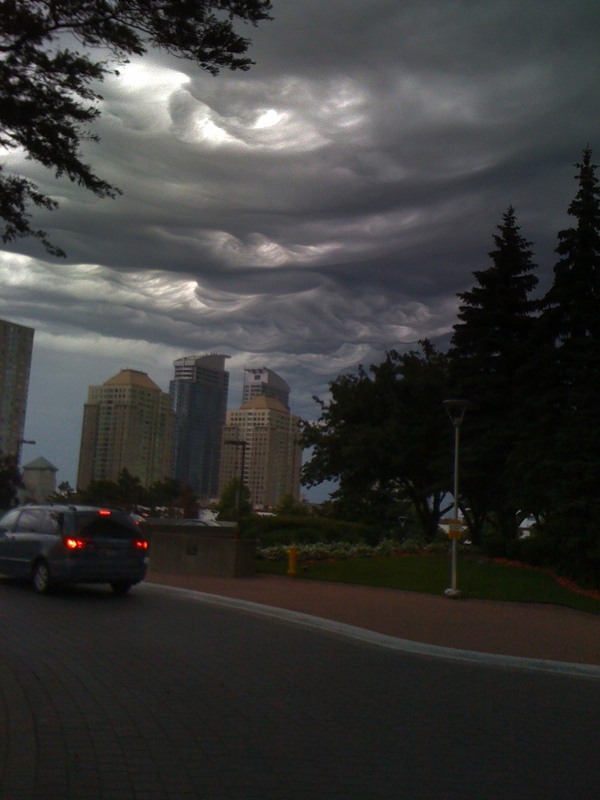 Dropping off my wife at work one day and we were both in awe at these cloud formations, angry and apocalyptic! Just grabbed the photo on my phone, but I think it still captures the awesomeness of the moment. looks like a swirling cloud formation.. quite scary isn’t it? They were, but at the same time you couldn’t stop staring at them! awesome … you description is also apt. What a wonderful shot. Those clouds are really spectacular. Oh my. Don’t show that to any Mayans. I hear they’re still on red alert. Those clouds are insane. Scary and beautiful at the same time! Yeah my thoughts exactly. Just amazed watching them. Thanks! It was awesome to just stand and stare! I’ll see what I’ve got for the photo comp. I assume I just post it and tag it to your blog? Actually, entries are being sent directly to my email, which is posted with the competition information. Hope you can send some shots! I love the picture, the title and the emotions in the turbulence! I take pictures all the time of clouds on my antiquated cell phone. I have one I captured what looks like an angel looking down. Definitely clouds are visionary in one way or another! What’s on my mind in 140 or less!